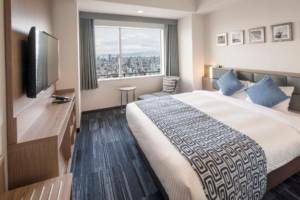 Hotel rebranded as “Art Hotel Osaka Bay Tower” for reopening on March 29, 2018! 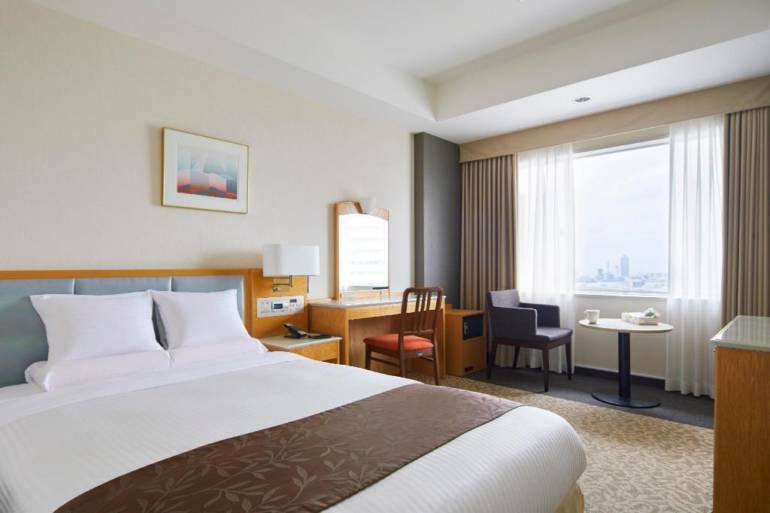 Art Hotel Osaka Bay Tower features a dynamic panoramic view overlooking the bay from 200 meters above ground. 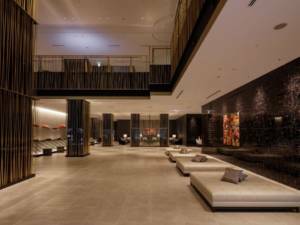 The hotel has gained a reputation for being the most beautiful nights cape in Osaka, with its 51-floor building. 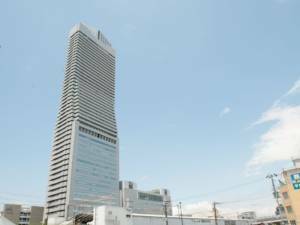 The building is directly linked to Bentencho Station of the subway line, offering convenient access to Universal Studios Japan ™, Mount Tempozan and Sakishima. The hotel offers both the bayside view with a panoramic sight overlooking the Ferris wheel, the aquarium at Mount Tempozan and Universal City as well as the city view with a panoramic sight overlooking the Kyocera Dome Osaka, Tsutenkaku Tower and central Osaka. The changes in the expression of the cityscape from evening to night time, is something exceptional and we recommend that you take a look. 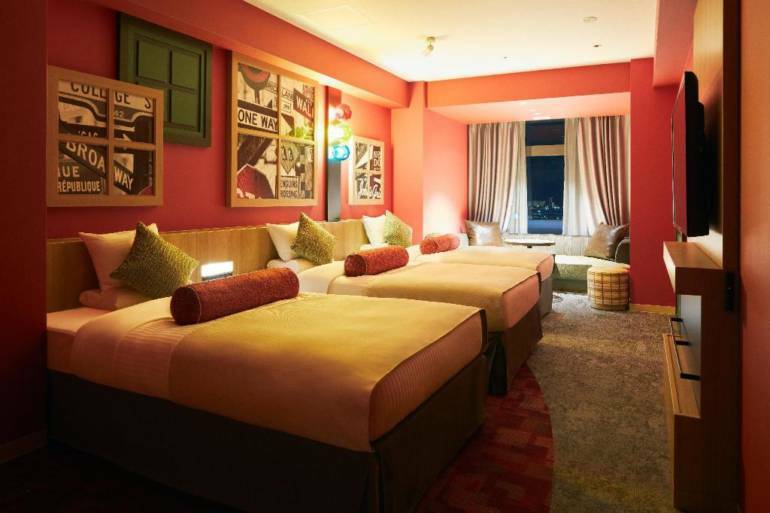 Guest rooms accommodate a diverse range of people, from Standard Queen to Superior Twin, as well as Sky Floor Deluxe Twin. 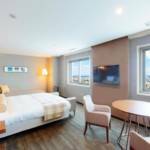 Business Double rooms with a stylish space that offer support for business activities, as well as Ladies’ Double rooms that include steam foot spa and other such pleasures for the ladies are also available. Our guests start their day with fresh breakfast while overlooking the refreshing scenery from the highest floor of the hotel. The same venue also caters to lunches and course dinners served at dinner time. Dining is also available at the Japanese restaurant and the Teppanyaki restaurant, while light meals and beverages are served in the lobby cafe as well. 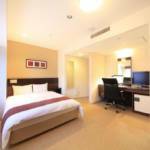 The complex offers a diverse range of conference halls and banquet halls for meeting and banquet needs. Please feel free to inquire for details. If you’d like to enjoy the Osaka Bay area, just ride the train for 7 minutes from JR Bentencho Station to Universal-city Station (for your convenience, a shuttle bus also operates from the hotel to Universal Studios Japan™). To get to Osaka Aquarium Kaiyukan, simply ride the train for 4 minutes to its closest station, Osakako Station. Visitors to the Osaka Bay Area can also use the convenient Hello Cycling (shared bicycle) service for sightseeing around the area. You can also directly access other main tourists spots in Osaka, such as Kyocera Dome Osaka, Osaka Castle and Tsutenkaku Tower, from JR Bentencho Station without needing to transfer. Please take advantage of the hotel’s excellent location as a convenient base for many of Osaka’s attractions, from its city center to the bay area.